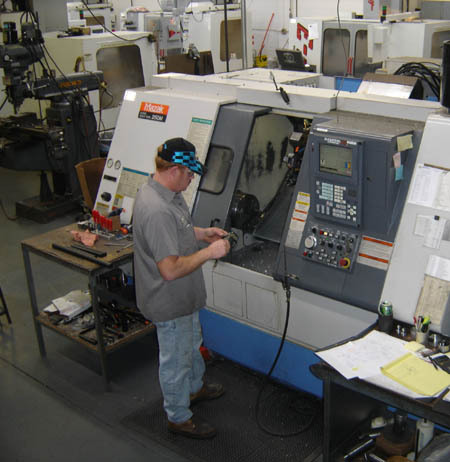 Perkins Engineering is equipped to offer a broad scope of mechanical engineering, designing, part inspection, CNC machining and metal fabrication services. With this wide variety of services available, Perkins is able to see your project through from inception to completion. Our skilled and diverse staff is capable of problem solving and manufacturing. From prototypes to production, we will provide the know-how when you need it and the machining and metal fabrication services to complete the project. You can rest assured that your parts are made to print and on time. Both in-process and final part inspections allow us to keep your project on track for accurate, on-time completion. Our Quality Assurance Department, engineering and design service as well as our service of replacement parts for your specialty machine are all intertwined capabilities to bring a complete solution to your needs. Whether you have an idea for a project or design, or you have a complete set of prints, Perkins Engineering will enable you to see it through to completion. For the occasional jam or emergency that you may run into, Perkins Engineering offers a "quick shop". Our quick shop is designed and dedicated to get your emergency job in and out as quickly as possible. In many cases, Perkins' quick shop can deliver parts in as little as one to two days. Naturally, this service does have limitations but, please contact us and let us help to get you out of a jam.